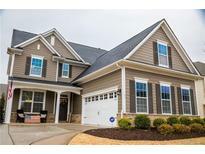 Below you can view all the homes for sale in the Byers Creek subdivision located in Mooresville North Carolina. Listings in Byers Creek are updated daily from data we receive from the Charlotte multiple listing service. To learn more about any of these homes or to receive custom notifications when a new property is listed for sale in Byers Creek, give us a call at 704-960-1598. 5 mins to Stumpy Creek boat launch. MLS#3496120. Lake Norman Realty, Inc..
Energy Star Certified! Don't miss this one! MLS#3496552. Lake Norman Realty, Inc.. It's like buying new construction without the wait. A must see! MLS#3489109. RE/MAX Executive. Enjoy living close to Lake Norman MLS#3477822. Team Thomas & Associates Realty Inc.. Buyers agents and buyers to confirm all information deemed important to you and your buyer. Thanks for showing! MLS#3477614. Keller Williams Fort Mill. Privacy fenced back yard features a screen porch and paver patio. Perfect for entertaining. MLS#3476887. RE/MAX Executive. Located within walking distance to the Byers Creek shopping center with numerous dining & shopping amenities as well as being close to top-rated elementary, middle & high schools! MLS#3474878. Francis Real Estate Group, Inc. This Is Must See! Bring All Offers!! ! MLS#3469846. Mark Spain Real Estate. This home really is a must see, you will not be disappointed! MLS#3470079. Silverthorn Realty Group. Curtains and furniture will not convey with sale. MLS#3439182. Lennar Sales Corp.
A MUST SEE for your buyers! ! MLS#3429778. Hecht Realty, Inc.